The oldest Greek-lettered organization created for and by African American women, Alpha Kappa Alpha is and has been at the forefront of providing service to local, national, and international communities for over 109 years. 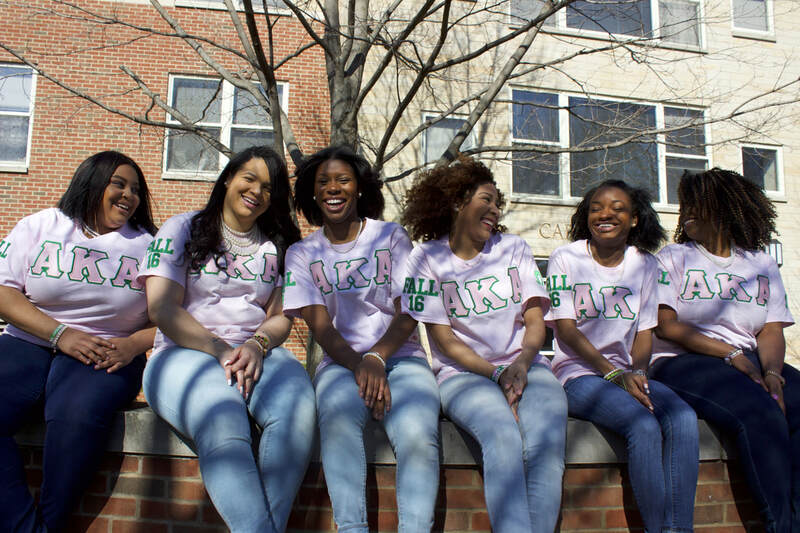 The purpose of Alpha Kappa Alpha Sorority, Incorporated is to cultivate and encourage high scholastic and ethical standards; to promote unity and friendship among college women; to study and alleviate problems concerning girls and women in order to improve their social stature; to maintain a progressive interest in college life and to be of "service to all mankind." We are proud to illuminate, for the world's viewing, our three-in-one foundation pillar upon which our legacy is emblazoned: Sisterhood, Scholarship, and Service. Since our chartering on December 1, 1925, Omega Chapter has worked tenaciously to serve the Greater Cleveland community. We hope that our website enhances your knowledge of Omega Chapter of Alpha Kappa Alpha Sorority, Incorporated, our mission, and our upcoming projects.